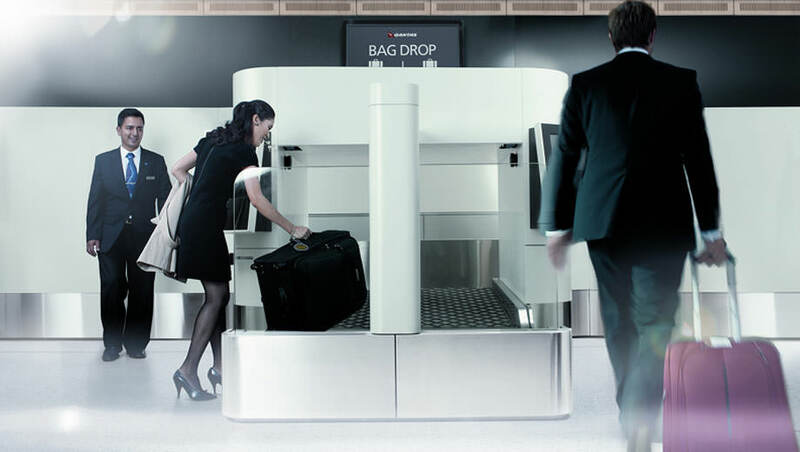 Automated bag drop is the latest trend to cut costs at the airport. After checking in using a kiosk, phone or home-printed boarding pass, passengers print out and affix their own barcoded luggage tag before sending their bag into the system. It sounds like a great idea from an efficiency point of view — fewer staff members are needed, to help some passengers use the machines or where there are errors — but there are a number of issues that airlines need to address before this technology can go mainstream. 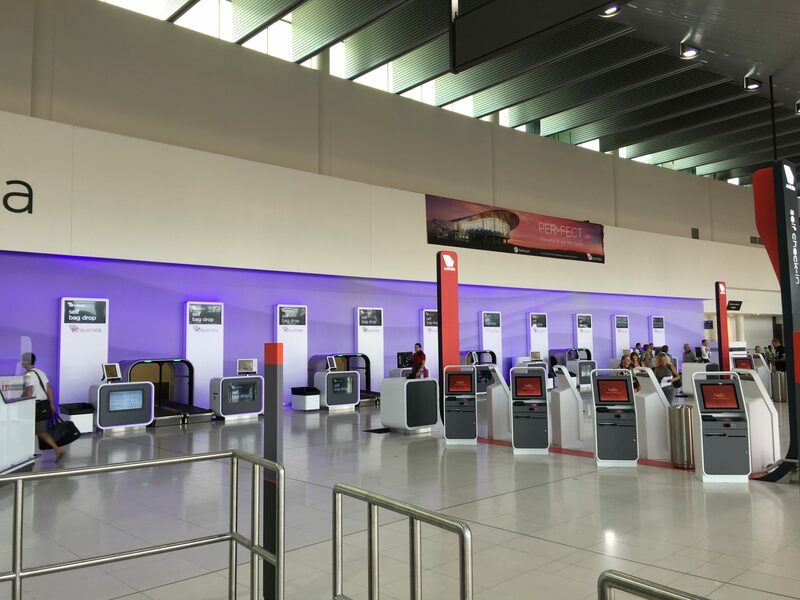 These machines are not new to Australians — Qantas’ Faster Smarter Checkin has been going since 2011 under various names and trials. But they still don’t work well enough, enough of the time. I watched a middle-aged man trying to figure out how to use the automated bag drop with his printout from home. It seems reasonable that your bag tag would print out at the automated bag drop machine, but no, it prints from the kiosk that passengers are used to skipping if they’ve already checked in and have their boarding pass. 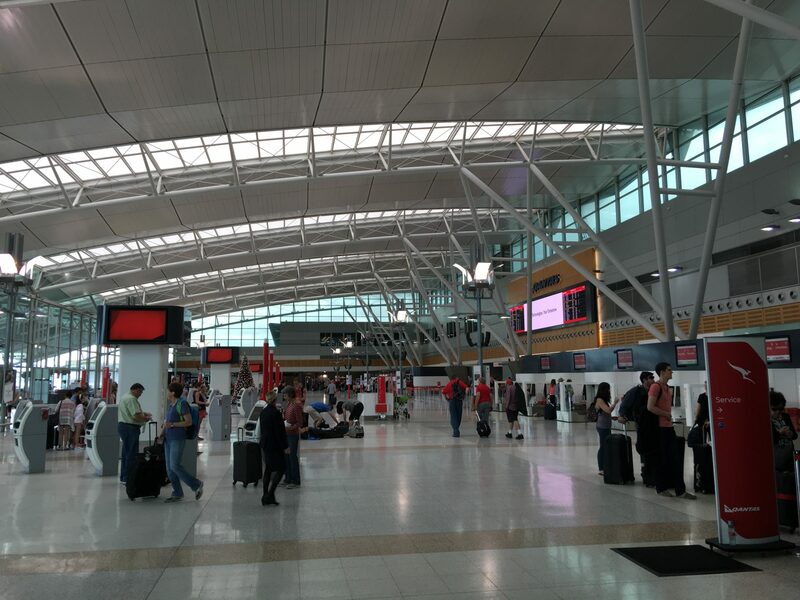 A staffer had to get the man to pull his luggage off the belt and go back to queue for a kiosk, where he had to navigate through the kiosk process for a bag tag, then return to queue for and then navigate through the entirely separate automated bag drop process having affixed the tag. This is terrible #PaxEx. And it’s not just terrible for people unfamiliar with the system. I am about as much of a power user as you get for this kind of thing, and it works efficiently about one time in four. The problem for frequent travellers like me is the small peel-off secondary stickers that appear as if by magic on our bags as a backup way of getting them where they need to go if the main tag is torn off. While I’ve never had an issue with a misdirected bag despite never having developed the habit of removing them after each flight (and never before needing to), the automated systems appear to be far too sensitive and reject any bag with just one secondary sticker left. Or, at least, that’s what I experienced and what the staffer who took pity on me and walked me to the manual kiosk for old-school check-in the last time I tried the automated version said. The thing is, and I don’t like to be a cynic, but it does rather seem that the queues for staffer help have been growing in length as the number of staffers are being reduced so as to encourage passengers to struggle through the self-tagging process even if there is a problem. The business class queue was ten people deep with only one staffer handling business class passengers at one airport I flew through recently, and it wasn’t even a busy period. Automation should be about improving the passenger experience, not making the only other option worse for passengers who find it difficult to haul their luggage around, aren’t comfortable using (or able to use) touchscreens, or who have questions about the process. There are also safety concerns — not with what the machines themselves are doing, but with what they are not doing. In the era where passengers are travelling with more and more personal electronic devices, checkin staff and people working the bag drop play an important part in reminding passengers not to check in batteries or other hazardous items. I did not, for example, passing through Perth Airport with my family and four pieces of checked luggage this week (and you’d better believe we went to the staffed bag drop area), see a sign like this anywhere near the automated system. It’s fairly clear that we can’t — and shouldn’t — stop the rollout of automated bag drop. But in my experience with them, it seems that their first implementations have not thought through the way that passengers will be using them. Printing bag tags at one machine and then sending the bag through another is just terrible user experience. If this technology is going to go global, airlines need to do a lot more to educate, inform and guide passengers through a streamlined process. Qantas has been automating luggage drop for some time, but the system doesn’t seem to have sunk in. I cannot disagree more with your statement. Granted, like any new technology, we have to get used to it. Remember the introduction of ATM machines in the banking sector ? First we weren’t too sure, now we don’t know any better. When was the last time anyone of us entered a bank ? I looked up the statistics and organisations like IATA and Sita state the same thing. The vast majority of passengers want more, not less self-service. Secondary stubs cause as much issues in the baggage systems when agents don’t remove them as automated bag drops. There is no difference. Check-in staff can now be used to give more service and improve the passenger experience, not less. In the end, passengers can choose for themselves to use them or not. Don’t fear the future, embrace it. I love my QANTAS RFID tags. I’d love to understand why the industry as a whole didn’t get behind this as an *architecture* instead of using it as a value differentiator. Its the class of system which is crying out for unified adoption. RFID are cheap. its a huge numberspace. having temporary use, one time use alongside semi-permanent use IDs is not a big deal. I know HKG got behind it because I have transparent RFID on some of my bags from transiting through. So it’s clear some airports decided to try it. Las Vegas uses them, too. They are cheap but still far more expensive than just the printed tags, to say nothing of the costs to retrofit airports with the necesary scanning hardware. And it is unclear that the benefits are real, whether for passengers, airports or airlines. I welcome these new initiatives as I get more choice in the matter. If I can move more quickly because I can check-in online and drop off a bag more easily, then even better. Mostly I find it a pain that technologies are accepted by governments in one country, but not in another. As a result I get very different services depending on where I am. Nobody is forcing me to use this technologies, it’s my choice to do so or not. Oh, I’m all for them (as I said in the piece) if it is indeed a true choice. 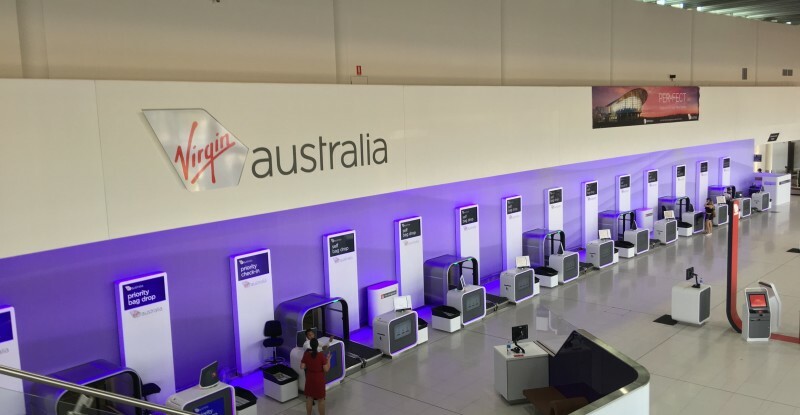 But for that to happen, there needs to be at the very least (a) better process design, (b) clearer signage, like the Air NZ 1-2-3, (c) passenger education, (d) visible staff to assist during the switchover, and (e) less obvious diminution of service at the non-self service queue. To have a choice be either struggling solo with an unmarked, unclear system or waiting for 20 minutes for one agent is bad PaxEx. No, it’s not, it’s entirely sensible. Passengers who check in at the kiosk get their boarding pass and bag tag, and people who are too stupid to know that they have to print off their bag tag at the kiosk should deservedly be identified as stupid and sent back to do it properly. It would be more nonsensical for passengers to pick up their boarding pass at the kiosk only to have to stand around and fumble with a bag tag at the automated bag drop, thus holding everyone up in the queue. The bag drop injection station is designed to push as many people through as quickly as possible, and the only way that works is if the bag tag is on the bag before people get to the injection point. Thank goodness you are not in charge of designing paxex – you truly have no idea. Google suggests you’re a Kiwi, Yarki — the problem with the aspersions that you’re casting is that Air New Zealand already does all the things you seem to be objecting to, and does it well. The 1-2-3 of checkin and the clear (1) START HERE and (2) BAG DROP markings that are the Air NZ PaxEx are exactly what I’m talking about. You start at the kiosk, it spits out the bag tags, you put them on your bag and you take it to the drop, and if you need help you wave for a uniformed staffer. That makes sense if it’s marked. I’ll maintain that having passengers go and identify themselves at two separate automated processes without clear process marking is bad PaxEx — especially since airlines have spent years training passengers with home-printed boarding passes, ePass or the app to skip the checkin kiosk and go straight to (staffed) bag drop. You are of course welcome to call passengers who don’t immediately twig or who use their past experience of skipping the checkin kiosk if already checked in stupid, although I’m not sure what that gains us all — even if I agreed with you that they were stupid (which I don’t) there’s no stupidity test when booking flights, and failure to design for the lowest reasonable level of knowledge (or to ignore that airlines have been training passengers in one way for years and now want people to do something else) is no less of a failure.